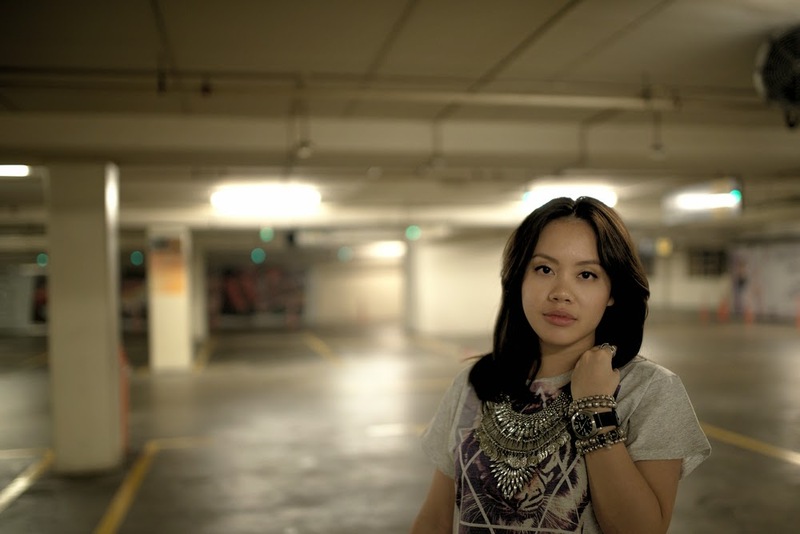 Now, this will be the third crazy time I'm going to say this, but YES I do love Dylanlex's giant statement necklaces. They are chic and they go just about with everything. Too bad it costs a bomb. 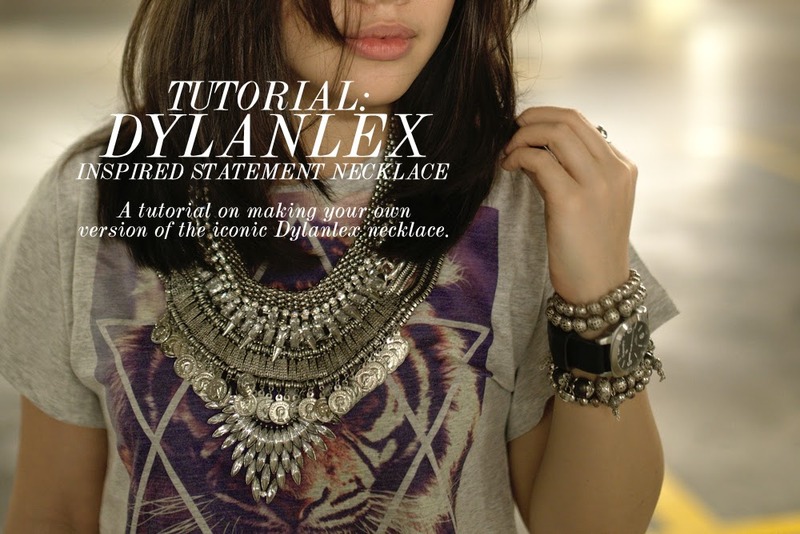 For all you fanatics like me, luckily Dylanlex necklaces - although irreplaceable, inspired versions are fairly easy to make. I don't even know why I've waited this long to make this, but anyway, here it is. 1. 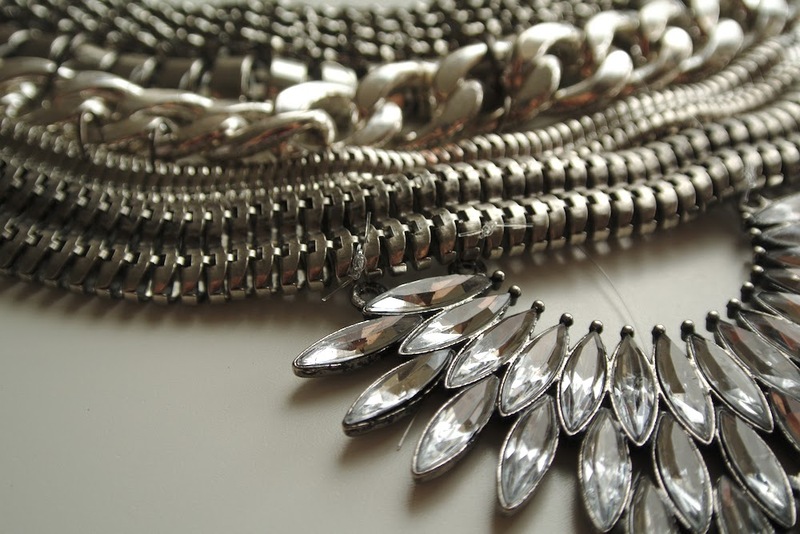 Several silver necklaces in different lengths. 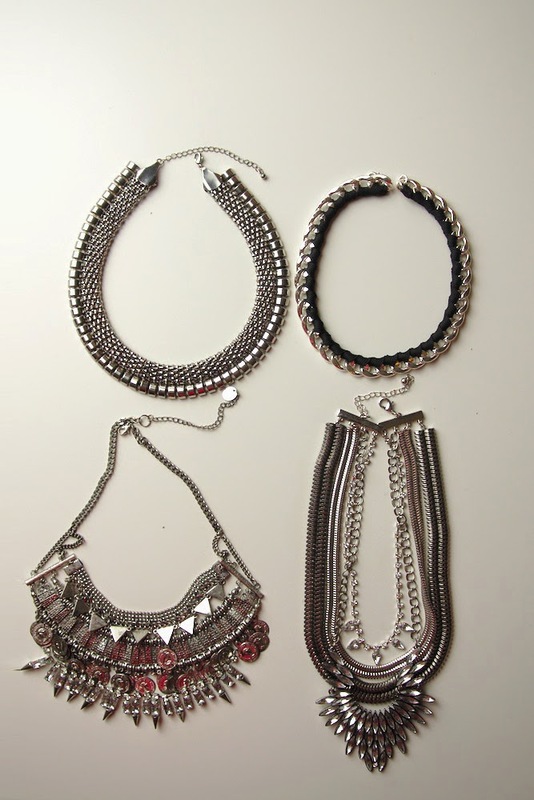 Necklaces with more details including some boho elements are key. 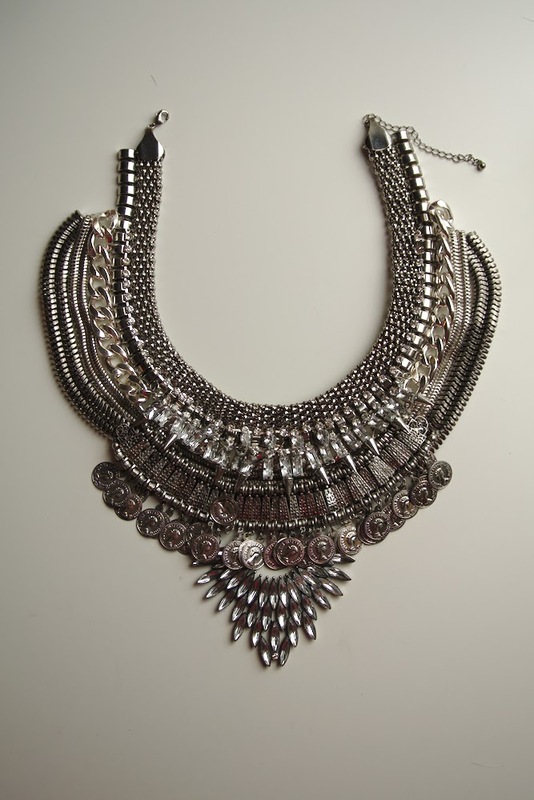 Don't be afraid to use necklaces with rhinestones and crystals. The original Dylanlex might look understated and bland, but in actual fact, most pieces have crystals on them. I got three pieces from H&M and the bottom left one is from Lovisa. 4. Transparent string (I used fishing line actually, much cheaper). 1. I laid all my jewelry together and had a rough idea of the shape I wanted for my Dylanlex inspired piece. This step is super important. Make sure that you have all the pieces you need, and have in mind what you don't need etc. 2. Next, you've got to prep your necklaces. 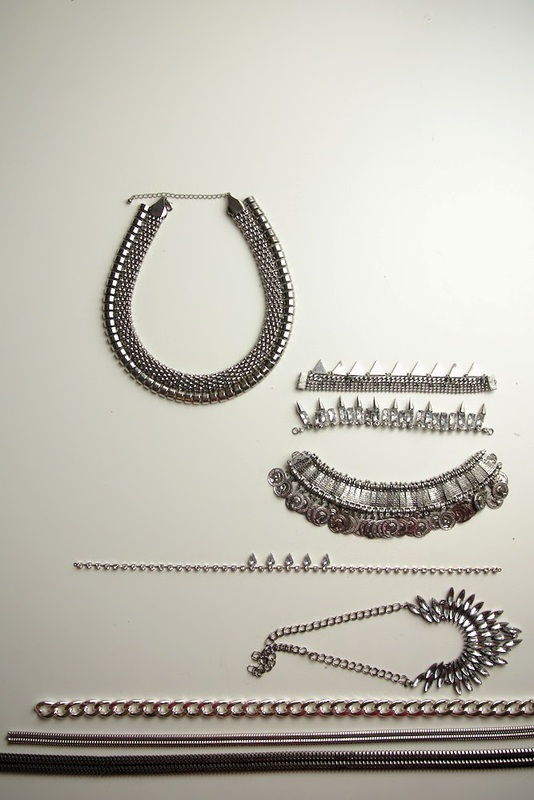 In this case, 'prepping' means taking your necklaces apart. 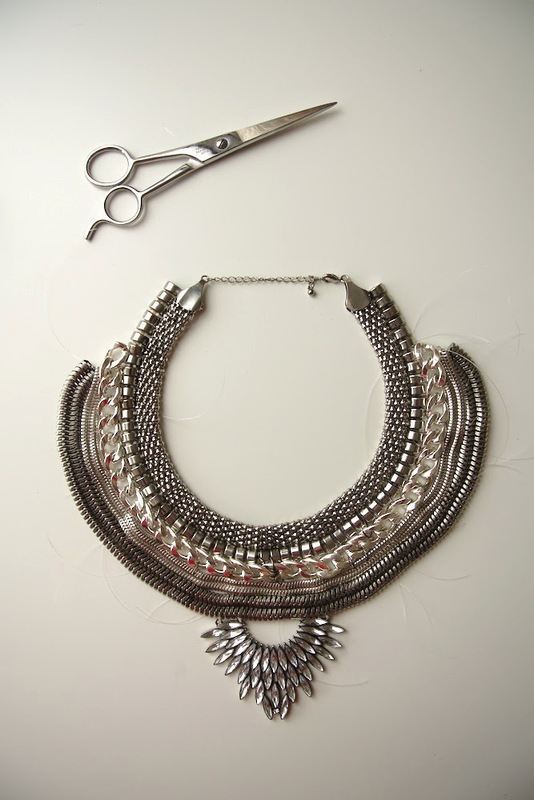 Remove all the clasps, stripping them down to individual pieces. Since the black ribbon on my large chain link didn't really go with the look I want, I decided to remove it too. Keep the bits you take off, like the jump rings and clasps. 3. Because of its length (I wanted mine to sit a little lower, even though Dylanlex designs her necklaces to choke the neck a little), I decided to start with this piece (see top left in above picture). Make sure that the piece you are starting with is sturdy, and is able to hold some weight since the end result is going to be heavy. 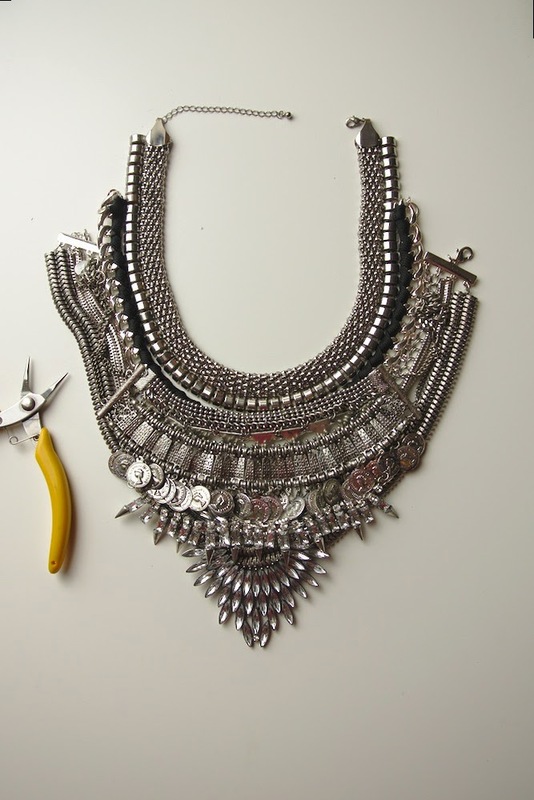 This entire process must be done with the necklaces curved ( see picture below) otherwise it will not sit properly on you. 4. 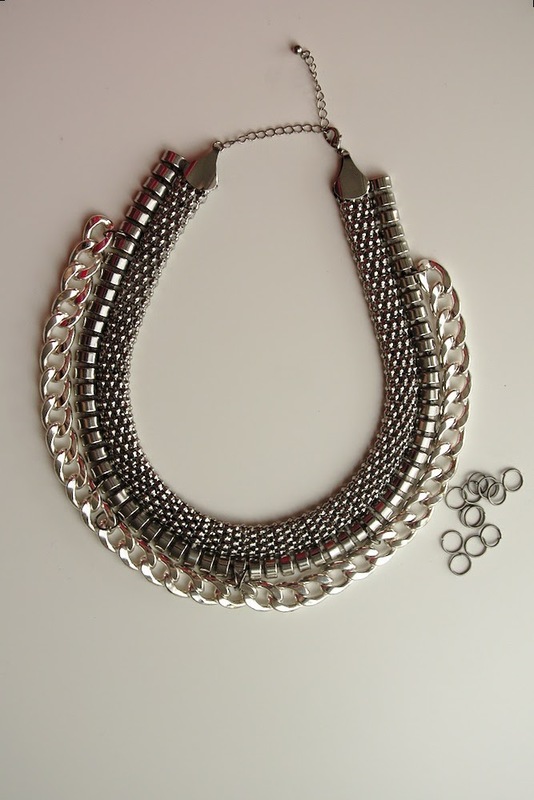 I manually joined necklace A and B (like below) using jump rings. This step is optional, it serves to aid step 5. 5. After that, I weaved transparent string through the holes of the necklaces to hold them together. 6. I continued doing steps 4 and 5 with the rest of the other pieces I had, just layering one after another. I would occasionally hold the necklace up on my neck, to check for balance, symmetry, stability and for any gaps or holes I missed. 7. The statement piece looks fine as it is by this stage. However the thing that gives it the extra edge is the layers of other jewelry on top of this main piece. 8. See below for a closeup of how I ended my transparent string, just simple knots. Don't be too worried if they aren't so clean looking, they are transparent anyway. Plus, you will be layering more metal over it. Otherwise, just end the knots at the back. 8. I switched the clasp to a bigger one for more durability and also extended the extender so that I'll have the option of making it short or long on my neck. 9. As a summary, the key takeaways are: balance, symmetry, the more layers the better and add character using funky pieces with funky shapes! I took it for a test run right after completion the other day. I was in heaven! 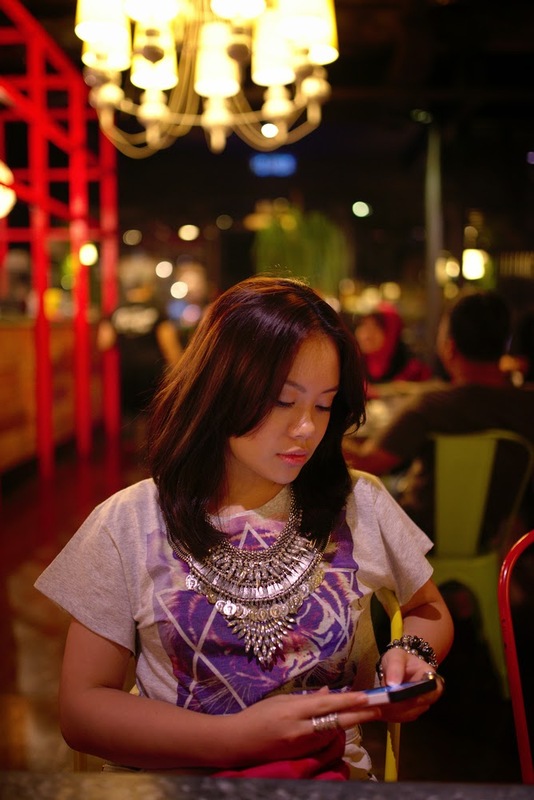 Next time, I'll wear it with an all white outfit, monochrome or even a tube dress. I was very serious when I said that it goes with EVERYTHING. 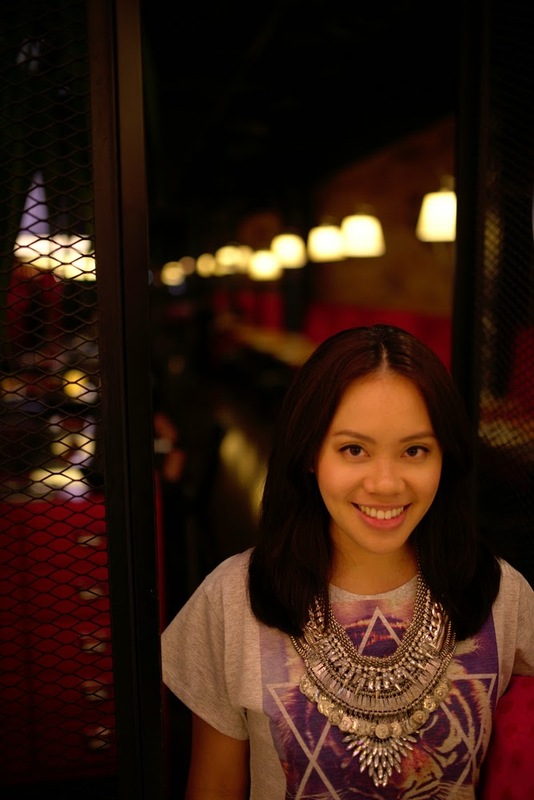 If I wanted a relaxed look, I'd wear the piece with a plain t-shirt. Or I'll wear it with a blazer and skinny jeans for casual cool. I'm thinking it'll also work with party dresses, if you want to glam up an outfit for an evening out. Head over HERE for more Dylanlex inspiration. I hope you liked the post. Let me know if you've got any questions, good luck! Hi. 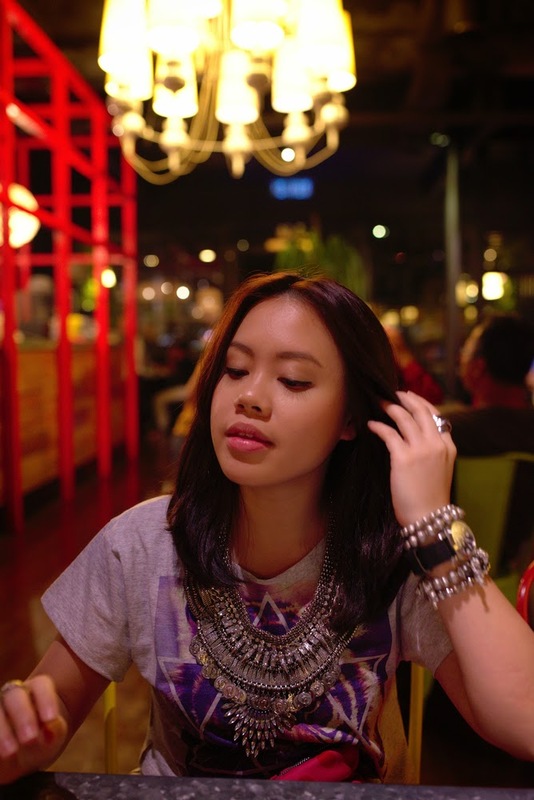 Can any of your diy statement necklaces be purchased? They are beautiful.